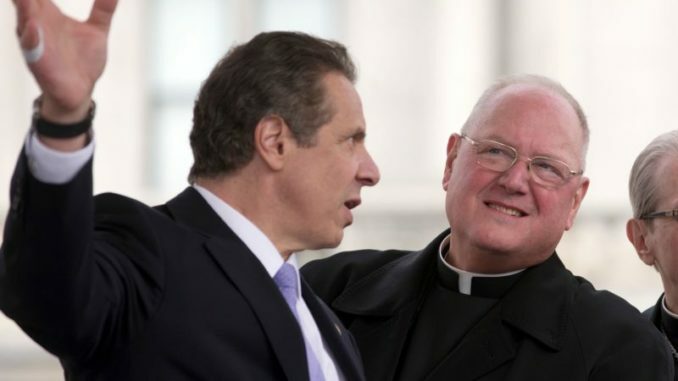 Catholic leaders are calling for New York Gov. Andrew Coumo to be excommunicated from the Church after he signed a new bill legalizing abortion up until the point of birth. Last week, Cuomo signed the Reproductive Health Act, allowing non-doctors to perform abortions up to the moment of birth if the health of the mother is deemed to be at risk or the baby is not viable. Cuomo celebrated the signing of the bill by ordering One World Trade Center to be lit up pink, a move many found to be in poor taste. 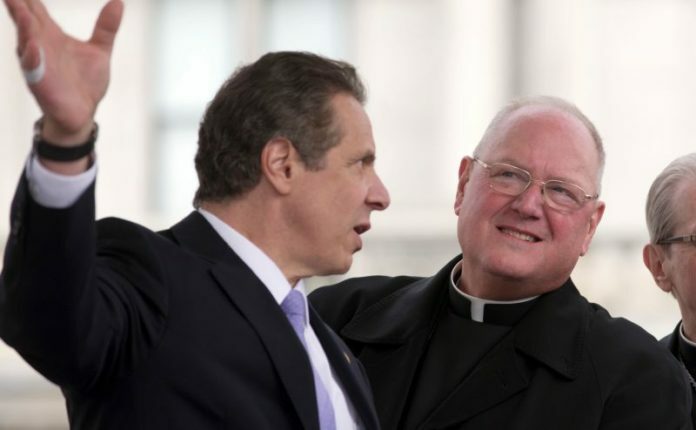 New York state bishops have been asked to consider ex-communication, which Scharfenberger says is a “last resort” that may come about if Cuomo continues to distance himself from the church. Scharfenberger said Cuomo, who has touted his Roman Catholic faith and the fact that he was a former altar boy in his State of the State address earlier this month, should not be receiving communion because of his flagrant celebration of the pro-abortion bill, a “very radical separation from the Catholic communion” and “light years away” from Pope Francis on abortion. Cardinal Timothy Dolan, the Archbishop of New York, told “Fox & Friends” Monday morning it would just be “ammunition” for pro-abortion opponents who would dismiss the issue as a Catholic one and not a human rights issue. He said he gets “wheelbarrows” full of letters a day asking about it. “He’s not going to be moved by this, so what’s the use?” Dolan remarked.